As I mentioned in the previous blog, the white fabric I’m using to draw on is a very tight weave and I’m using a 0.1 pigment ink pen. Using pigment means that it will never wash out. It is there permanently. I hope I can fit in the colouring today, but I have more castles to build on the Bayeux. Previous PostSokittome – the idea and the process. 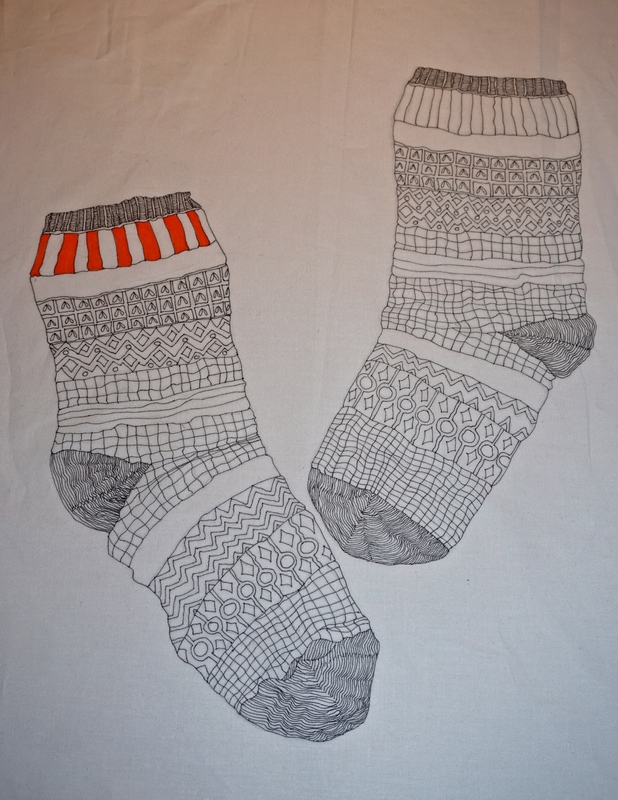 Next PostSockittome – challenge, it looks like a sock.